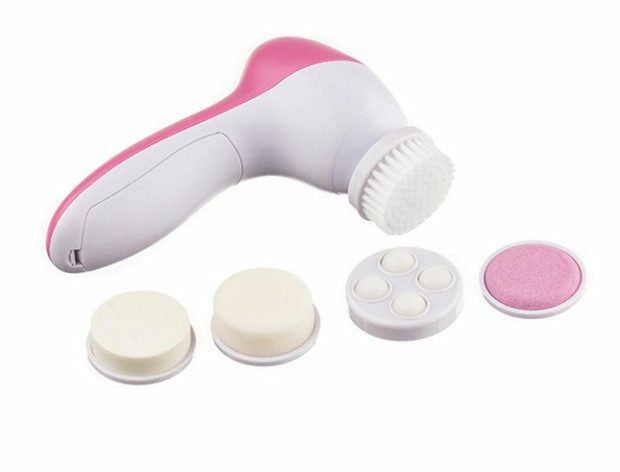 5-in-1 Spa Skin Care Cleansing System Only $8.98 Shipped! You are here: Home / Great Deals / 5-in-1 Spa Skin Care Cleansing System Only $8.98 Shipped! Get your skin looking fantastic! Order the 5-in-1 Spa Skin Care Cleansing System for Only $8.98 Shipped! With the 5-in-1 Spa Skin Care Cleansing System, you can perfectly massage your face for a deeper, yet gentle, cleaning. This little brush will help improve skin texture for healthier and younger-looking skin, while increasing skin luster and elasticity. Each brush comes with 5 different brush heads to allow for customization of cleaning based on your skin type and preference! Click here to check out more Great Deals!